Universal, affordable internet access is part of the UN’s Sustainable Development Goals (SDGs), and governments, companies, local and international organizations, and members of civil society are working to get more people online. However, as a new report from the World Economic Forum explains, the problem is “big, complex and multidimensional”. What’s behind the digital divide? There are four main reasons that so many people are still offline, according to Forum’s Internet for All report. Infrastructure: One reason many people aren't logging on is simply that a good, fast connection is not available – 31% of the global population do not have 3G coverage, while 15% have no electricity. In sub-Saharan Africa some 600 million people (almost two thirds of the region's population) do not have regular electricity, and this applies to nearly a quarter of people living in South Asia. Affordability: The cost of devices and connectivity is another factor preventing many people from accessing the internet, especially the 13% of the world population living below the poverty line. 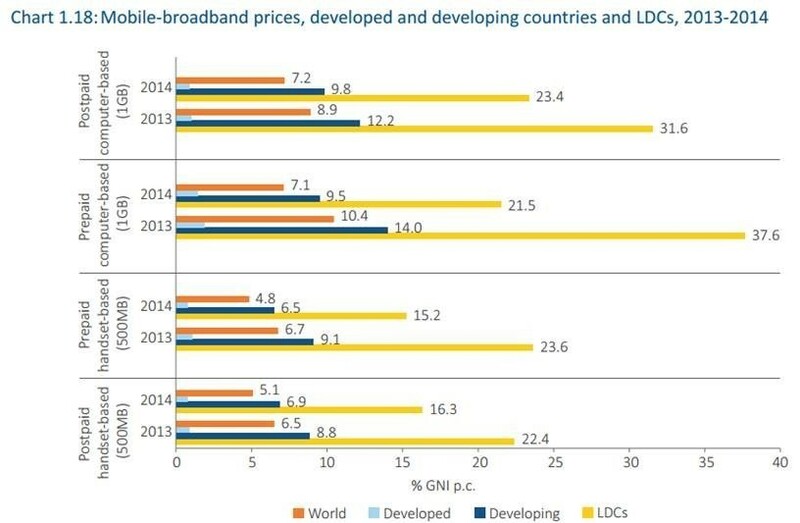 Broadband is only affordable for 100% of the population in just 29 countries. Skills, awareness and cultural acceptance: A key barrier for some is education – 15% of adults globally are considered illiterate. There are also cultural issues, with women up to 50% less likely to be using the internet than men. Local adoption and use: The vast majority (80%) of online content is only available in 10 languages, which only about 3 billion people speak as their first language. The World Economic Forum is urging governments to introduce policies that aim to improve infrastructure coverage and quality, provide financial assistance to those who cannot afford to get online, and set up public Wi-Fi. The report also highlights how a lack of skills and awareness of the internet’s value are barriers. It recommends getting ICT onto the curriculum in schools and providing training to communities and argues that tackling the global digital divide will require public-private collaboration. The Forum’s Internet for All initiative provides a framework for both governments and businesses to work towards. The programme is being implemented in an initial project in Rwanda, Uganda, Kenya, South Sudan and Ethiopia, where 75 million people (67% of the total population in these countries) currently have no access to the internet.